JUST WHEN YOU THOUGHT the water was safe, Air Swimmers floats a shark next to your face. These RC fish would delight our three year old but I don't think we'll be able to get one of these $40 fish from M and M Toys before the end of September since they don't ship to Ireland. This may mean getting a few fairies to flit and fly around the birthday girl with their enchanted flapping wings. You can guide your fairy with a magic wand. As all good storytellers know, the deepest wish of any fairy is to inspire humans to take better care of the natural world. And each Flitter Fairy tries to bond with a human friend who shares her most important trait such as compassion, protection or inspiration. So before the end of September, we need to invite Eva, Daria and Alexa into our home to play the Snow Fairy Keeper contest, explore Faewick Forest and Kendlenook Village, and read the fairy book “Slightly Above Time” during the upcoming birthday party. Direct link to the Flitter Fairies and to the Air Swimmers video. 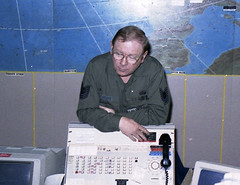 SEVERAL TIMES WHILE WORKING more than 150 feet underground in Germany with the 322nd Airlift Division, I arranged the special airlift of interesting cargo. IT IS A BIG RELIEF knowing that I can open my phone in the States, Ireland or England and use maps that navigate me with no requirement to be connected to the local mobile phone operator. I routinely use Nokia Maps on my Nokia E7 because I like noticing what the maps don't comprehend about the Irish motorway system. A few months ago, Nokia Maps did not recognise the new motorway connecting Kilkenny to Dublin. Until last year, the confusing mess of the Red Cow interchange threw the electronic navigator into an endless loop of "recalculating" as we maneuvered around road works. Today, the calm voice guidance simply says, "Follow the course of the road". To which I might add, "Stay alert for motorists making lane changes." I JUST WALKED members of our Oregon family to their departure point with lingering thoughts of what I'd do better as a fixer. We're a connected-aware family (three three tallest ones at left) and that means toggling to an airplane mode with our data when we're roaming. I wish I had been able to give the Oregon crew an old handset with a Maxroam SIM in it while they traveled to and from the States. As a fixer, I know that the time spent inside an airport terminal is very much like a passenger who has not been given leave to land. Some kind of voice connection is invaluable in times like that and I don't want to oversee another family arrival without the throwaway handset being carried into the different airport terminals. WE INCREASED THE DURATION of our travel segments by one simple trick--getting a comfortable car seat for the back seater talker. Its key features are its wrap-around heat supports and foam inserts for flailing arms. The seat cushion looks like it has been engineered by a lumbar support expert. Our three year old likes the semi-independence that comes with having a seat belt that she can snap shut. And dad the driver is happy with the simple solid Isofix action between the seat's hardware and the car itself. It's little analogue things that really count. Sent from my Nokia E7 while sitting beside our three year old at 70 mph on Ireland's M8 headed to Dublin. I STOOD ON SMOKING EARTH near Ground Zero of Flugtag 88 and will never forget the stunned horror on the faces of 300,000 spectators as they calmly picked their way around smoking soil to leave the crash site. I was part of a team of airlift controllers, trying to figure out a way to evacuate the injured from the crash scene to extreme burn centres located in Europe and in the States. We had a comprehensive Major Incident Plan and I remember some of the authentications and steps decades later. We hit some snags along the way, snags that might still be in the Major Incident Plan. 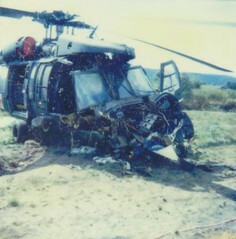 I wonder how the technology and training offered through Decisions For Heroes would have played out during Flugtag 88. The software looks for patterns and trends. If used as a primary data map for the airshow disaster in Ramstein, it might have helped sift through the injury list, identify the nationalities of victims and applied hotspot cluster mapping to the treatment facilities. That alone would have prevented ambulances from sitting in queues outside of hospitals that did not have the blood or the room in special burn facilities. 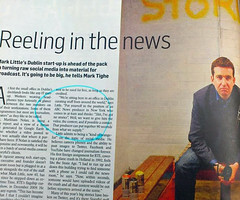 MARK LITTLE AND STORYFUL get a well-deserved two-page spread inside Culture magazine today. They know how to curate the news and provide me with first-rate coverage of emerging events. I'm currently following Storyful into both Libya and New York City as events unfold there. Storyful gives me the video, the context and often the primary contact behind the scenes of breaking news. I know several of the people on Storyful's team and believe the organisation has leveraged social media more efficiently than any other journalistic channel. In the seven minutes of my YouTube video and during an Audioboo, I make an attempt to match the incisiveness of a Storyful segment as I distill items from two Irish broadsheets. IF ONLY I COULD drop most of the people sitting at this table onto Google Plus. I'd have an exceptionally eclectic collection. THANKS TO SEAN O'GRADY, I stumbled into Google Plus during its early days of public beta. 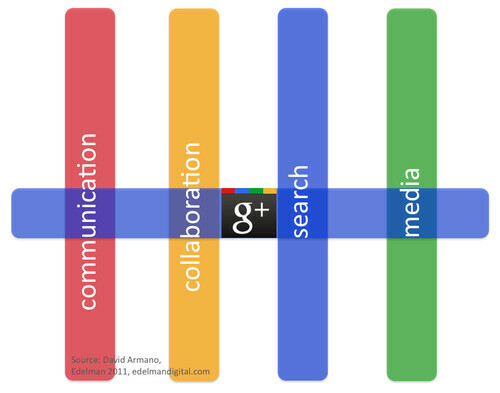 After nearly eight weeks of watching how Google Plus works, I've learned it is more than a chat zone. I now believe I should set up plans to teach new third level students how to write for social layers that sit inside Google Plus. Like many people I follow on Google Plus, Twitter and Facebook, I think G+ has the potential to change the way people, brands and groups interact. I'm interested in discovering whether my new students, men and women who are just starting their third level education, can detect any of the facets that I believe deserve a close look. I used to have one simple way to see my information stream--my laptop. Things have become much more overwhelming in the past two years because I carry a generous amount of a touchable life stream in my pocket. I can't get away from the babble.